An addictive app can do wonders to your venture. We need to admit this fact that our smartphones have become our best friend because it is the first and the last thing that we see after getting up in the morning and before sleeping. Throughout the day also, we tend to look at our smartphones in the free time; be it a short break or the lunchtime, we are glued to our smartphone screens. According to a researched report by the Manifest, about 32 percent of people check mobile apps on their phone 1 to 10 times a day. Interestingly, there is not just one app that we interact with. From Instagram to Facebook and from PUBG to Clash of Clans, we have different types of apps on our smartphones. On an average, there are ten different apps that a person has on its smartphone. And the reason behind it is that we don’t stay on just one app because we get bored easily and we have the comfort of moving to some other app with just a few flicks of our fingers. 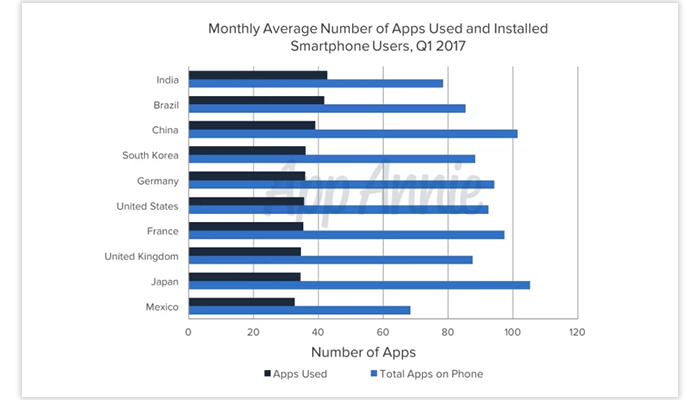 If you see in the graph depicted below, the average of people spending time on their smartphone from different countries is more than 100 minutes a day, which makes it one and half an hour a day. However, mobile usage varies through the day. During the daytime, the desktop dominates, while in the morning and evening, it’s the mobile device and tablets that are mostly used. Going by these figures, we can easily make out that people use smartphone apps more in the morning and evening. But apps are all different. Now, as you know that how desperately people are into mobile apps, so the next big thing is to know about the elements that can make an app so addictive that the user keep stuck to it for long. 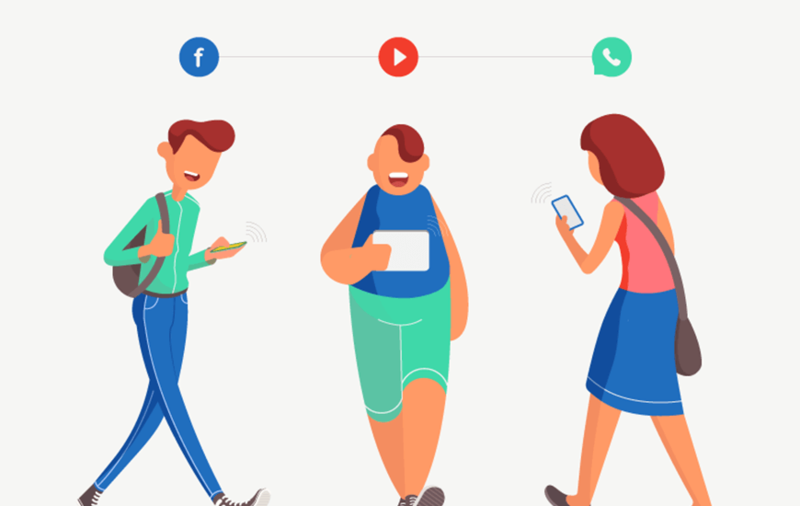 If you are planning your app, you need to learn the factors that can help you to make your app addictive enough that you can engage the maximum users and get some handsome amount in return. We all love free stuff. Don’t we? So, to make the users come back to you, you need to shell out free goodies that will make them crave to go back to your app. For instance, if your app is related to e-commerce, you can help your users with coupons and deals that they can’t resist. You can also add a clause according to which the user will get some kind of benefit on daily login. This will engage more traffic and make users keep updating their apps for new stock of goodies. It is one of the key components that need to be embedded in the app, especially when the app is about multi-people engagement. 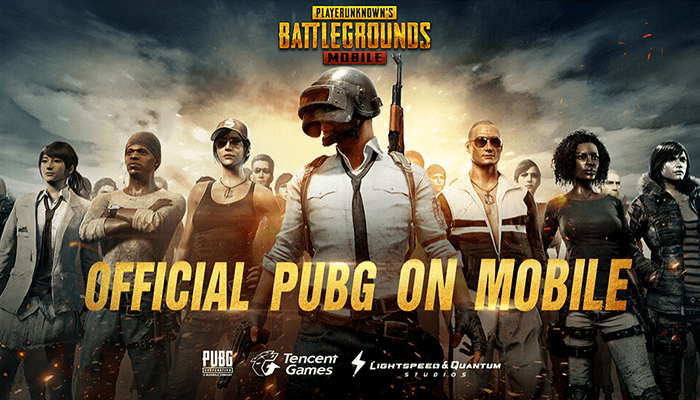 For instance, the PUBG game app is doing wonders and one of the reasons behind its success is the ability of the players to communicate with their squads. Just imagine, you are doing something on your phone and you are able to talk to your friend or family about your task. No doubt, the communication spice up the things like no other and can make anything addictive. Every one of us wants to achieve the maximum in the least possible time. No wonder, why everyone seems to race against time. So, in terms of apps, you need to give the user the opportunity of doing much in small doses. By adding micro-sessions, you will be offering ample time to the user to rejuvenate for the next. If you look at some of the successful games, they let the users’ to make the most in quick-session stages. Tinder is one such app that lets you find a date on the go. Swipe left, and you can find a match in no time and that makes it addictive. The competition among the people takes out the best of them. Thus, adding some pinch of competition can do wonders, and it also lets the user know, how they are performing. Many mobile apps comprise competition with the bot; some make you compete with your friend, and some apps let you challenge multiple people at the same time. Here again, I want to quote the PUBG game that lets you compete with 100 people at a time, and you need to survive till last to be the winner. That sounds like adrenaline rushing through your blood while being alive. Many apps keep you reminding about the high score, so that, the user stay encouraged to keep on competing and that will automatically make your app addictive. Here, collaboration has a little bit of competitive spirit involved. When you have people involved in the same task, you get pumped up to perform better than others, and if this thing is infused in the app, it will make the user open the app again and compete with others. And who knows, it may make the app addictive. 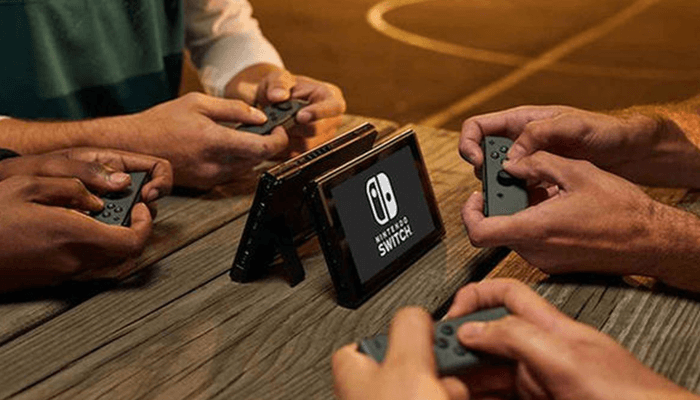 The best example of this is the multi-player games that involve people from your family and friend circle. And I hope, nobody wants to get beaten by your best buddy; I understand how taunts can do the trick. FOMO or Fear Of Missing Out is one of the best tools to drive the users to open the app again and again and make it addictive. For this, you need to add some or the other element in the app that the user don’t want to miss and thus, it will bring a good mobile app engagement. PUBG, Snapchat, and Clash of Clans are the best examples of addictive apps, that I can quote here. In PUBG, your clan and friends can continue to play even without the presence of the user, and in this way, they can earn a better rank and accomplishments. Then in Snapchat, you have just a chance to view the snap from your friends. So, no one wants to miss on any update, especially from their friends. You need to be at the top and do something unique to build an addictive mobile app, and the points mentioned here in this article will help you with the same. 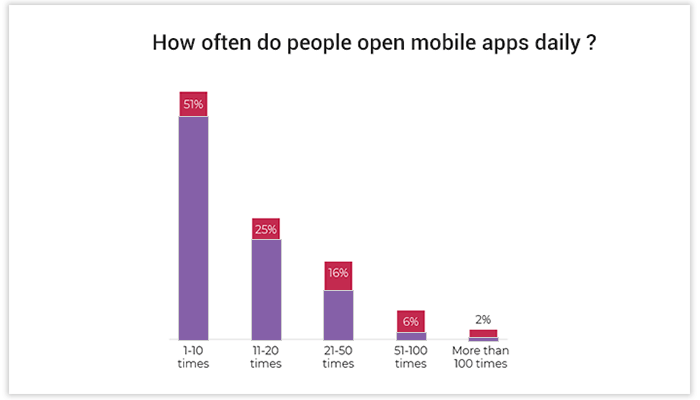 Also, don’t expect to see your app an addictive one just after the launch. Give it some time and infuse the left-out components that will help it to become more addictive. Let me know more about it and comment below, if you wish to add anything from your side.